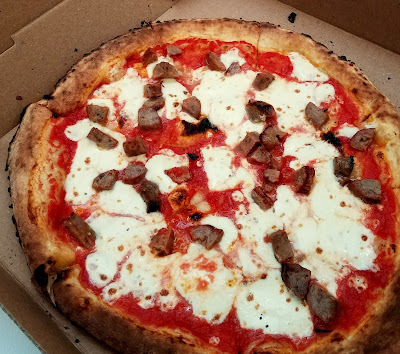 One of five new restaurants in the Heights, Pizza Vita currently has a storefront in Summit, a pop-up at Harborside, and their truck is often seen near Exchange Place and at events around town. They are best known for their Neapolitan-style pizzas baked in wood-fired ovens in approximately 90 seconds. They offer both red and white pies with a variety of toppings, but will also have an expanded menu with salads and antipasti available at the new location. While there are several great pizza options in the Heights, they're primarily focused on Central Ave, so the new location is a welcome addition. The shop will celebrate their Grand Opening to the public at 4pm today and going forward, will be open every Tuesday-Sunday from 4-10pm with brunch coming soon. Stop by 435 Palisade to welcome them to the neighborhood!